Los Angeles, California, is famous for many things; it is the second-largest city in the United States, it is the center of the movie, television, and recording industries, and it has Pacific coast beaches where surfers, swimmers, and sunbathers can spend time away from the office and close to the natural beauty of their surroundings. 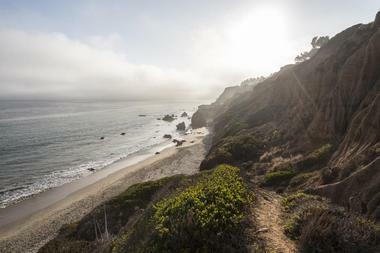 The Santa Monica Mountains end at the Pacific coast and these beaches are beauty spots that are ideal for family outings and for fun in the waves. 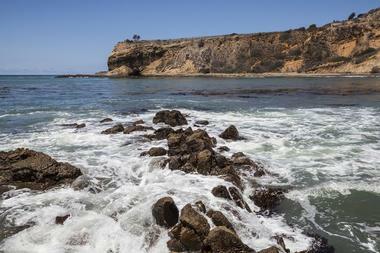 The Abalone Cove Ecological Preserve is first and foremost a protected area providing refuge for at-risk marine species such as starfish, urchins, lobsters, and anemones. With the exception of lobster, these species can be viewed in the tide pools at low tide. There are two black sand beaches that are safe for swimming, and rocky bluffs from which to take in the view of the beach and the water. There are designated hiking trails along the bluffs. Visitors may get the chance to view migratory whales that pass this way; blue, grey, and humpback whales have been seen close to shore at Abalone Cove. There is a parking lot and picnic tables for visitor use. 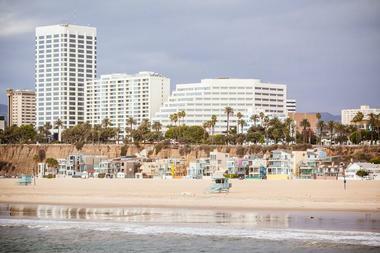 El Porto Beach sits in front of the El Porto neighborhood in Manhattan Beach, California. Its consistently huge waves make it a popular destination for surfers, body surfers, and stand-up paddleboarders, and its volleyball nets attract beach volleyball aficionados. 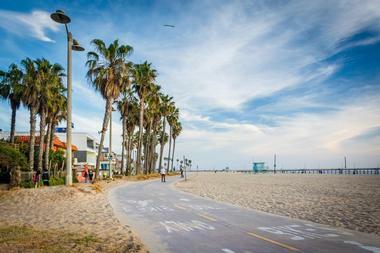 The Marvin Braude Bike Path is paved and runs along El Porto Beach; it is open to cyclists, inline skaters, walkers, runners, and joggers. El Porto Beach is relatively quiet, as it is a lesser-known beach; because of that it is a haven for those wishing to avoid crowded beaches. El Port Beach has a laid-back atmosphere, lifeguards, restrooms, showers, and a restaurant. Cabrillo Beach is a quiet, uncrowded beach that looks out onto Santa Catalina Island and the interesting sight of shipping vessels making their way down the coast. 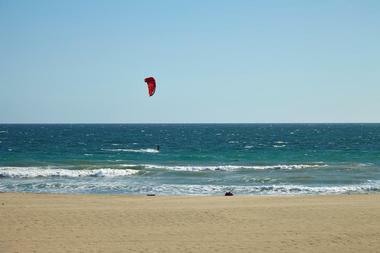 It is popular with families and windsurfers and has all the amenities necessary for a great day at the beach. There are volleyball nets, a children’s playground, a snack bar, picnic tables, restrooms, and shaded areas for visitors who don’t want a sunburn. Cabrillo Beach has a great fishing pier with fish identification charts and a sink for rinsing off your catch. Whale watching is a big draw to this beach. 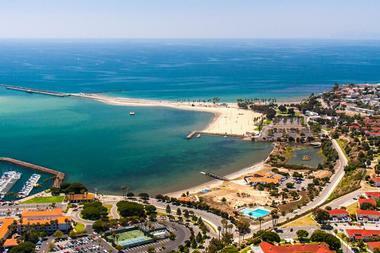 Cabrillo Beach has a paved boat ramp accessible from the parking lot. Hermosa Beach is a 2-mile stretch along Santa Monica Bay with clean sand and water, which makes it a great location for families, as do the waves, which are milder here than they are at other coastal beaches. Novice surfers and stand-up paddleboarders come here to learn the ropes of their sport. Numerous beach volleyball nets are set up along the shore and visitors can watch professional and semi-professional play. The beach has lifeguards during the day as well as showers and restrooms. Parking is trickier, but there is street parking nearby and parking lots a few blocks away. The pier at Hermosa Beach brings fishermen and next to the pier there is a palm-lined promenade with shopping, restaurants, and bars. Leo Carrillo State Park and Beach was named for a Hollywood movie actor who was an ardent conservationist and served on the California Beach and Parks Commission for 18 years. The park is part of the Santa Monica Mountains National Recreation Area and has 1.5 miles of beachfront suitable for swimming, surfing, windsurfing, and beachcombing. There are tide pools full of fascinating creatures, and sea caves to explore while the tide is out. 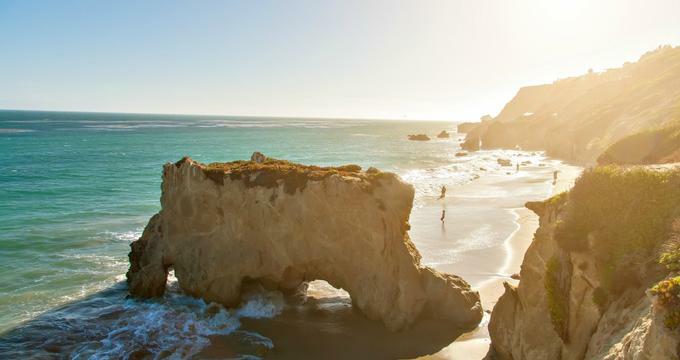 Leo Carrillo Beach has been used in many movies, including Grease and The Usual Suspects. The state park has a campground shaded by giant sycamore trees, children’s programs, and nature walks. There is a small visitor center with interpretative displays. Malibu Lagoon is an estuary caused by the meeting of Malibu Creek and the Pacific Ocean. This lagoon is a premier surfing destination and attracts surfers from all over the world. It is also a lovely beach for sunbathing, swimming, whale watching, and for looking at the fascinating creatures to be found in the tide pools left at low tide. From Malibu Lagoon State Beach, visitors can access the pier, where saltwater fishing is permitted, and there are trails around the coastal wetland that are ideal for birdwatching. The state park has picnic tables and a nature area with signage. 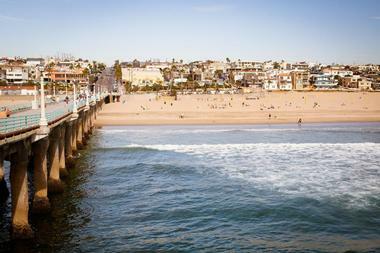 Manhattan Beach is in an upscale Los Angeles coastal neighborhood with fancy homes, trendy hotels, and excellent dining. It is also a beautiful beach, the sort seen on television shows and in movies, which has a surfing vibe to it as well as excellent waves for surfing. The beach is dog friendly and it is permissible to fish from the pier, on which there is a small but interesting aquarium. 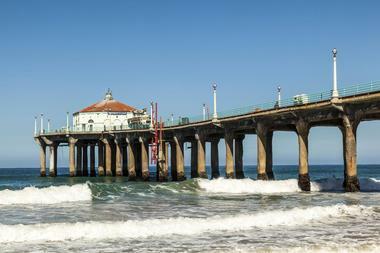 Manhattan Beach is a magnet for professional beach volleyball players and there are often pro matches to watch. On the beach there is a pedestrian-only boardwalk as well as the South Bay Bicycle Trail, which is open to inline skaters as well. 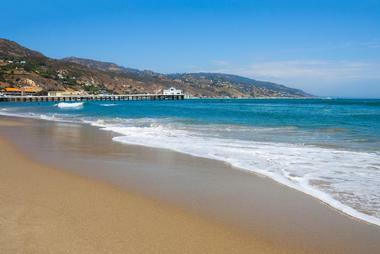 Paradise Cove Beach is a white sand beach in a lagoon at the foothills of the Santa Monica Mountains. This lovely curve of beach has all the amenities for a lovely day at the shore: parking, clean public restrooms, showers, beach chairs, and a lifeguard on duty during the day. 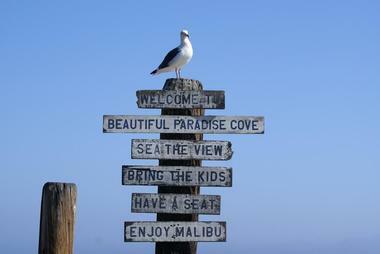 There is a restaurant, the Paradise Cove Beach Café, right on the beach. There is pier from which fishing is permissible, and the beach itself is perfect for sunbathing and sandcastle building, and this stretch of the Pacific Ocean is popular for swimming and surfing. No dogs are permitted on this beach. 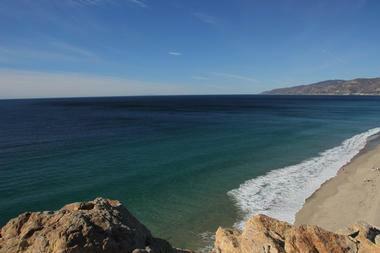 Point Dume State Beach and Preserve has a lot to offer its visitors. On the bluffs above the beach, there are hiking trails suitable for families and a boardwalk that leads to a viewing area. 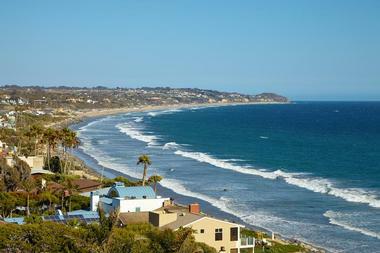 The views are spectacular; on a clear day you can see Catalina Island and the whole sweep of Santa Monica Bay. It is also an excellent location to watch migrating grey whales from December to April, and dolphins are commonly sighted in these waters. A staircase leads down to the beach, on which California sea lions are often found lounging, and there are interesting tide pools to explore. 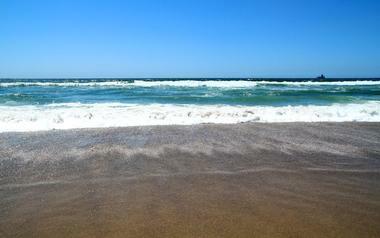 Swimming, surfing, and scuba diving are popular here, as is beachcombing. 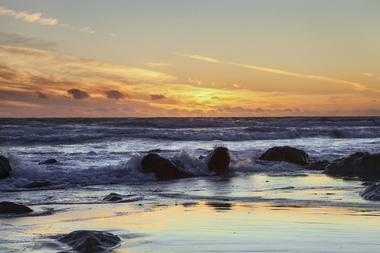 Zuma Beach is part of the Santa Monica Mountains State Park in Malibu, California. It has been carefully preserved so that it is wide and clean, with dunes topped with sea oats and a lively population of seals and California sea lions. Over 350 species of migratory birds make their way to these shores, making it an important destination for birdwatchers. There is lots of parking at this beach, and it has several lifeguard stations, clean restrooms, and food stalls. It is popular with sunbathers, swimmers, and those who love to build sandcastles, and its mild waves bring novice surfers eager to learn in a safe environment. There are volleyball courts and swings for the kids.